This extremely private retreat is set on 314 acres along the southern shore of Martha’s Vineyard. It features a private 35-acre fresh water pond and more than 1,200 feet of shoreline and is available in its entirety or in smaller parcels. Grace Bloodwell and Charles Carlson of South Light Property have the listing. Click here to view the video. Pictured above, the Y.O. is recognized as a world leader in the management and preservation of exotic game. 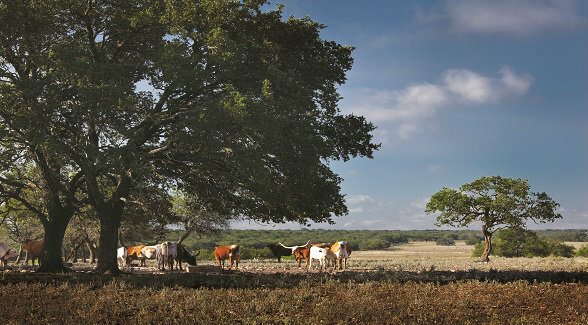 This iconic 29,000± acre Texas spread has been shepherded by the Schreiner family since 1880. Robert Dullnig of Kuper Sotheby’s International Realty has the listing. 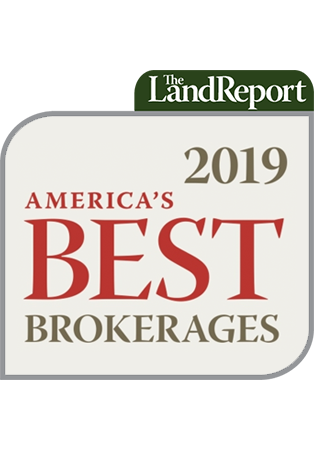 It’s hard to imagine more than 4,000 acres so close to a major metropolitan area, but that’s exactly the case with the Broken O, which is nestled less than half an hour outside of San Antonio in the heart of the Texas Hill Country. Listed with The duPerier Texas Land Man. This Joshua & Co. listing outside Aspen features views of Mt. Sopris, Capital Peak, and Snowmass. More than 15 miles of trails crisscross the property, which includes a six-bedroom, seven-bathroom, 18,000-square-foot home set on 876 acres. Click here to view the video. Set at the foot of the Grand Tetons along the banks of the Snake River, this 1,848-acre working cattle ranch was pieced together by the Waltons starting in 1958. Twenty-five years later, the family placed the ranch under conservation easement. Billy Long and Ron Morris of Ranch Marketing Associates have the listing. Click here to view the video. This 33-acre waterfront parcel in the Hamptons sits adjacent to 19 acres of protected lands. Julie Briggs and Debbie Loeffler of The Corcoran Group share the listing. Offered for the first time in 30 years, this 14,000-acre working cattle ranch (pictured above) with its own airstrip sits just 20 minutes from Carmel and 40 minutes from Pebble Beach. Suzanne Perkins of Sotheby’s International Realty Santa Barbara is the listing agent. Click here to view the video. Five miles of Big Creek and half a mile of the Elk River flow through these 5,034 deeded acres eight miles from Steamboat Springs. Billy Long and Ron Morris of Ranch Marketing Associates have the listing. Click here to view the video. McCoy-Remme Ranches has stewarded this 55,374-acre cattle ranch for the last two decades. Located in the Davis Mountains of Far West Texas, it was once a portion of the historic X Ranch. James King of King Land & Water is the listing agent. Click here to view the video.